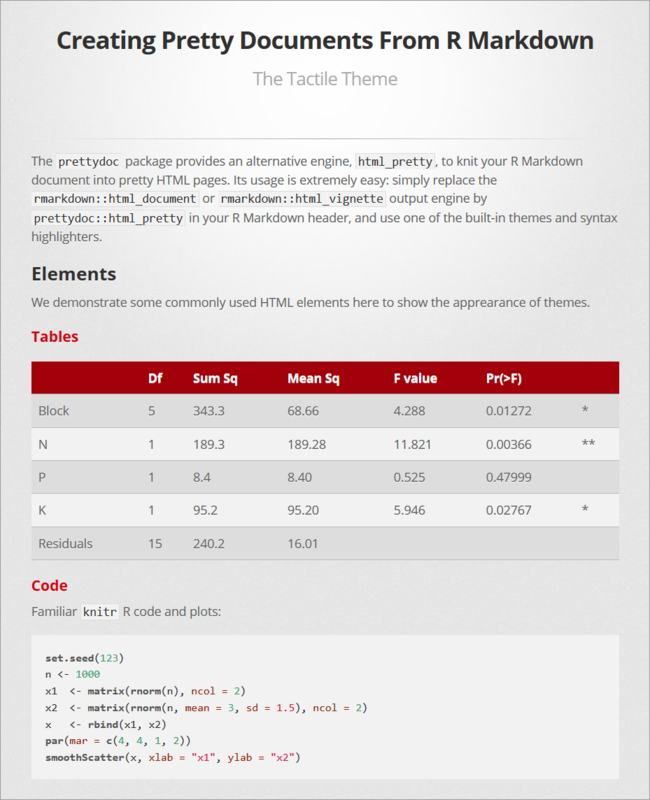 Have you ever tried to find a lightweight yet nice theme for the R Markdown documents, like this page? The html_document engine uses the Bootswatch theme library to support different styles of the document. This is a quick and easy way to tune the appearance of your document, yet with the price of a large file size (> 700KB) since the whole Bootstrap library needs to be packed in. For package vignettes, we can use the html_vignette engine to generate a more lightweight HTML file that is meant to minimize the package size, but the output HTML is less stylish than the html_document ones. 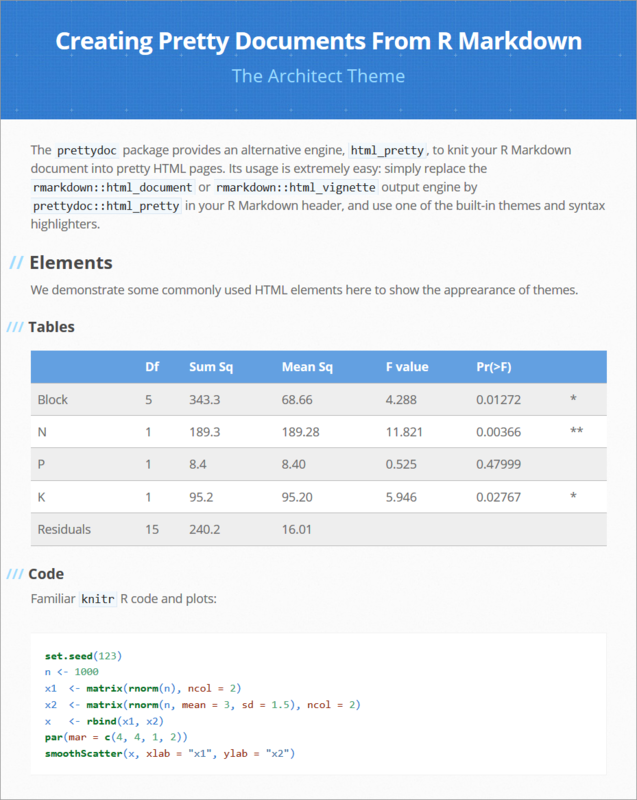 So can we do BOTH, a lightweight yet nice-looking theme for R Markdown? 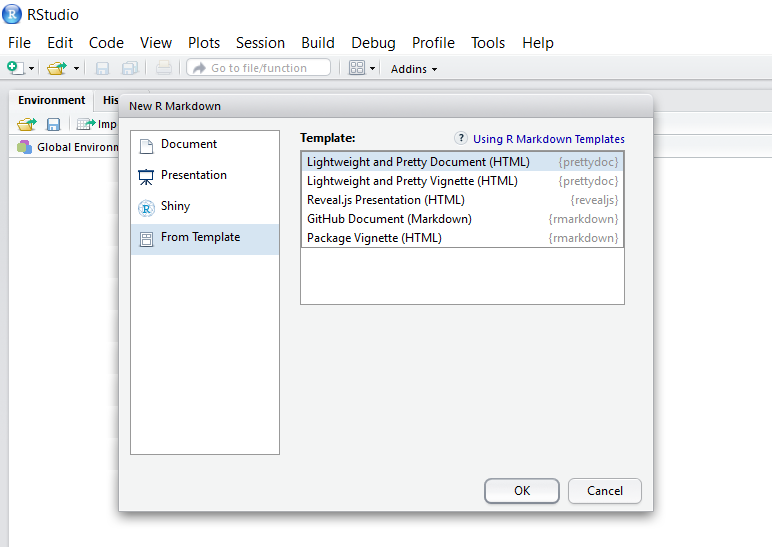 You can also create documents from prettydoc templates in RStudio (after installing the package). Step 1: Click the “New File” button and choose “R Markdown”. Step 2: In the “From Template” tab, choose one of the built-in templates. 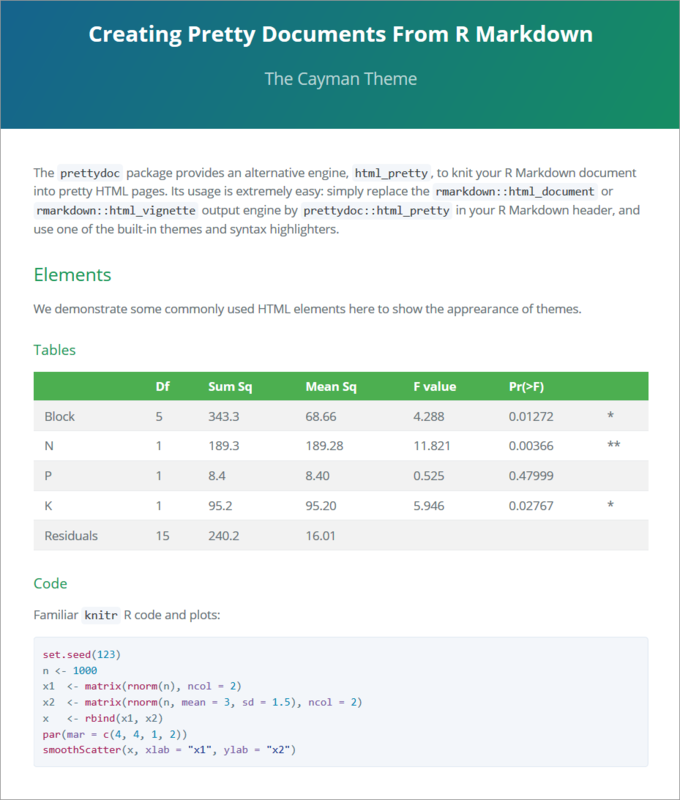 The theme option can take value from cayman, tactile and architect. More themes will be added in the future. The themes contained in prettydoc are much inspired by and modified from various Github page themes. The highlight options takes value from github and vignette. Here are some screenshots of the HTML pages generated by prettydoc with different themes and syntax highlighters. If you think this package is helpful, feel free to leave comments or request features in the Github repository. Contribution and pull requests are always welcome.